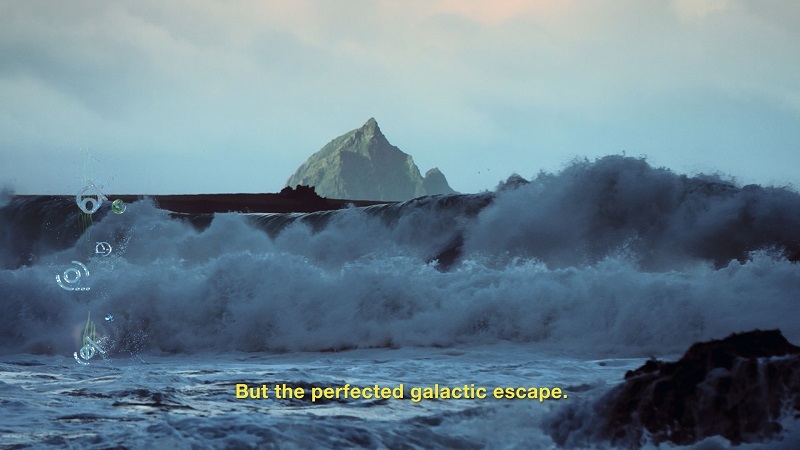 The Wild Atlantic Way in Ireland gets the intergalactic seal of approval in humorous and clever campaign, ‘Otherwordly’, by Fáilte Ireland and Rothco. The highly original advert features a fictional intergalactic travel agency, Tourism Cyhaccm – a tongue-in-cheek nod to the use of Irish locations in the latest Star Wars blockbuster. Creatively devised by Rothco, ‘Otherworldy’ leverages the heavy publicity the popular Irish tourism route has been receiving as a result of the recent Star Wars film shoot. By speaking the language of the captive sci-fi-fanatic Irish cinema audience, the campaign encourages them to re-appraise the familiar landscape with fresh eyes. It draws attention to the glorious scenery, culture and experiences – all of which lie temptingly, not so far-far away. The release of “Star Wars: The Last Jedi” brings with it a unique opportunity for the Wild Atlantic Way and Ireland. Our marketing will capitalize on the exposure that the blockbuster release will generate, positioning the area as a destination that is truly out of this world. This is all presented in a fun innovative and impactful way through the lens of inter-galactic visitors. We have developed a campaign idea with a powerful message driving consideration, while stirring a sense of awe, wonder and pride in a spectacular destination right on our doorstep. To engage domestic tourists in a completely new way, we committed to making the ad feel truly authentic. As a result, no Fáilte Ireland branding is visible. We deliberately created clunkily translated English subtitles and designed sound-reactive graphics to stimulate and entertain the audience. Bringing true authenticity to the sound design, EchoLab, which created this strange and fascinating galactic language, has worked on Star Wars trailers previously. Stage two of the campaign will involve Fáilte Ireland’s response to the number of outer space visitors. 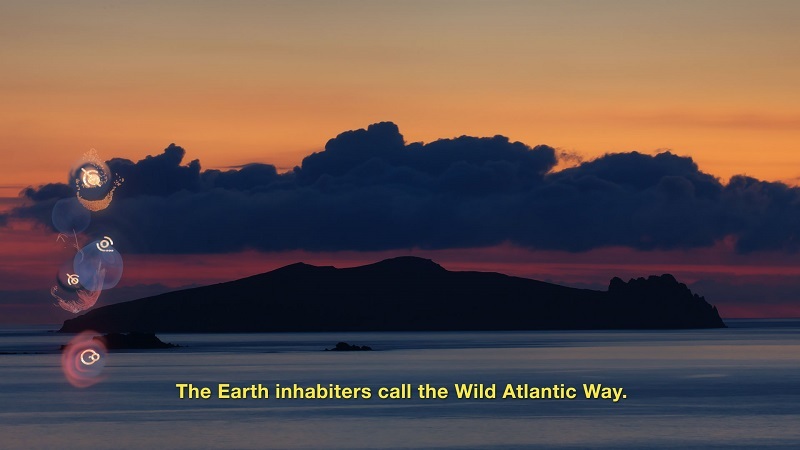 It will release a series of quirky online social films in the style of helpful, friendly infomercials to educate these galactic tourists on the myriad of wonderful things they’ll encounter as they fully embrace the Wild Atlantic Way of life. 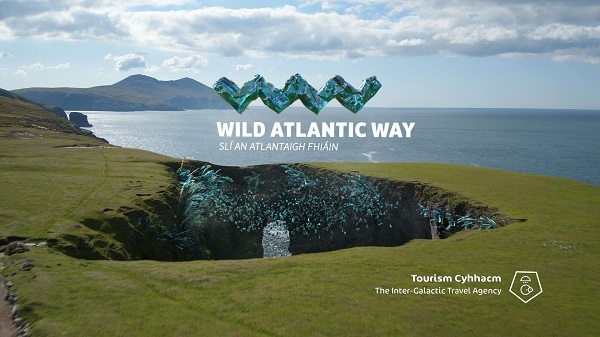 Viewers are encouraged to visit the official Wild Atlantic Way website, all designed to drive inspiration and bookings as the original Star Wars-themed approach resonates with the Irish audience. Further playful sci-fi, outer space Fáilte Ireland activity will follow across other channels, fully rounding off the campaign. Rothco is one of Europe’s leading independent creative agencies. 150+ people based in Dublin, producing global campaigns for over 23 markets.It has a mix of international and local clients (including Heineken, Aon, Unilever, Heineken, AIB, Hailo/MyTaxi, Rory McIlroy Inc., Kodak and Kerry Foods) and its work was recognized with multiple global awards.